Use ARM’s uVision MDK to configure the microcontroller run time environment (RTE), create projects and compile download and run simple programs on an evaluation board. Use and extend device family packs to configure I/O peripherals. Develop multimedia applications using the touchscreen and audio codec beep generator. Configure the codec to stream digital audio and design digital filters to create amazing audio effects. Write multi-threaded programs using ARM’s real time operating system (RTOS). Write critical sections of code in assembly language and integrate these with functions written in C.
Fix problems using ARM’s debugging tool to set breakpoints and examine variables. Port uVision projects to other open source development environments. Embedded microcontrollers are at the core of many everyday electronic devices. Electronic automotive systems rely on these devices for engine management, anti-lock brakes, in car entertainment, automatic transmission, active suspension, satellite navigation, etc. The so-called internet of things drives the market for such technology, so much so that embedded cores now represent 90% of all processor’s sold. The ARM Cortex-M4 is one of the most powerful microcontrollers on the market and includes a floating point unit (FPU) which enables it to address applications. 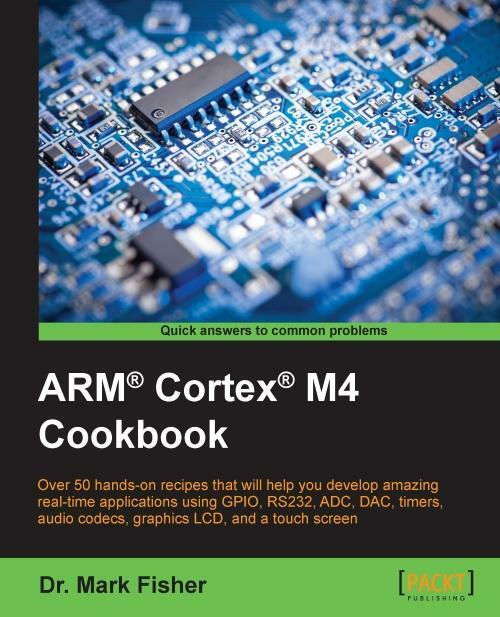 The ARM Cortex-M4 Microcontroller Cookbook provides a practical introduction to programming an embedded microcontroller architecture. 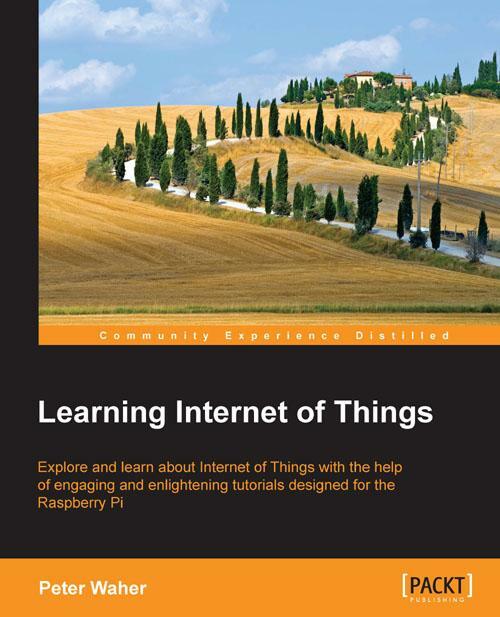 This book attempts to address this through a series of recipes that develop embedded applications targeting the ARM-Cortex M4 device family. The recipes in this book have all been tested using the Keil MCBSTM32F400 board. This board includes a small graphic LCD touchscreen (320x240 pixels) that can be used to create a variety of 2D gaming applications. These motivate a younger audience and are used throughout the book to illustrate particular hardware peripherals and software concepts. C language is used predominantly throughout but one chapter is devoted to recipes involving assembly language. Programs are mostly written using ARM’s free microcontroller development kit (MDK) but for those looking for open source development environments the book also shows how to configure the ARM-GNU toolchain. Some of the recipes described in the book are the basis for laboratories and assignments undertaken by undergraduates. Dr. Mark Fisher is a chartered engineer, MIET. He started his career as an electronics apprentice with the UK Ministry of Defence. This was before he studied Electrical and Electronic Engineering at Aston University, Birmingham. After his graduation, he joined Ferranti Computer Systems, Manchester. However, he returned to academia to study Microprocessor Engineering and Digital Electronics at Manchester University (UMIST), and he then remained as a research assistant within the Department of Computation to gain a PhD in Applied Machine Learning. Currently, he is a senior lecturer at the School of Computing Sciences, University of East Anglia, and the course director of the Computer Systems Engineering Degree programme. Many of the recipes in this book were originally developed in the context of a taught module that Mark leads, which is popular among undergraduate and master's students in the school. Mark currently researches in the fields of medical imaging and computer vision, and he is a co-author of over a hundred journal and conference papers in this area.